Great for naturalizing. 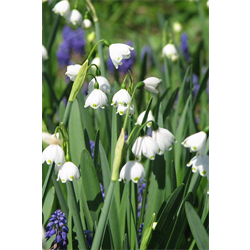 Leucojum will grow and bloom reliably in wet areas while tolerating more shade than most bulbs. Pricing is per package and per leucojum variety (quantity discounts apply).